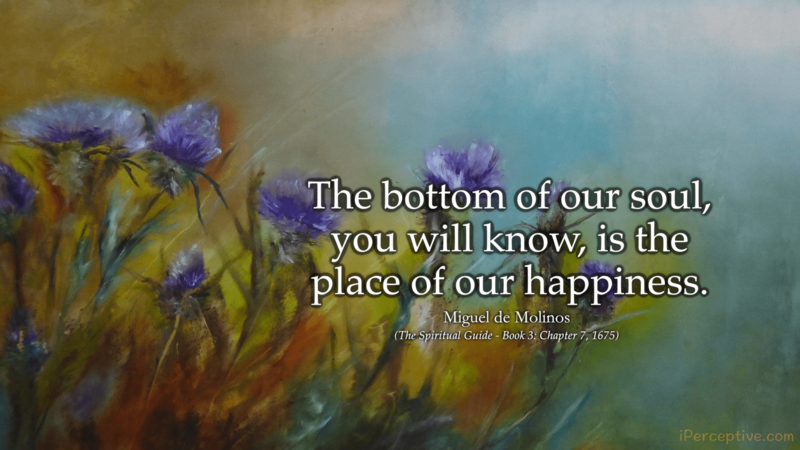 The bottom of our soul, you will know, is the place of our happiness. True love is known, with its effects, when the Soul is profoundly humbled. God hath no regard to the multitude of words, but to the purity of the intent. He that hath God, hath all things; and he that hath him not, hath nothing. It is a maxim that will endure: To truly know the living God, this begets humility. You will find yourself far from Perfection, if you do not find God in everything. Resign and deny thy self wholly; for though true self-denial is harsh at the beginning, ‘tis easie in the middle and becomes most sweet in the end. You will never be fully resigned to the will of God if you are troubled by human opinion of you, or if you make for yourself a little idol of what people say. The spiritual man that lives by God, and in him, is inwardly contented in the midst of his adversities; because the Cross and Affliction are his Life and Delight. There must be tribulation to make a man’s life acceptable to God; without it, ‘tis like the Body without the Soul, the Soul without Grace, the Earth without the Sun. Your directions, your judgment, your disposition to rebel must be subjected and reduced to ashes. How? In the fire of obedience, for it is there that you will find out if you are truly a follower of Divine love or self love. How happy wilt thou be, if thou hast no other thought, but to die in thy self! 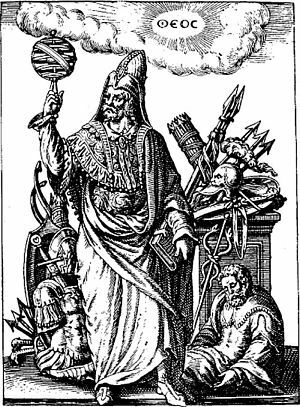 thou wilt then become not only victorious over thine enemies, but also over thy self: in which victory thou wilt certainly find pure love, perfect peace, and divine wisdom. Undeceive thy self, and believe, that in order to thy Soul’s being totally transformed with God, it is necessary for it to be lost and be denied in its life, sense, knowledge, and power; and to die living, and not living; dying, and not dying; suffering, and not suffering; resigning up, and not resigning up it self, without reflecting upon any thing. When the Soul already knows the truth (either by a habit acquired through reasoning, or because the Lord hath given it particular light) and fixes the eyes of the Mind on the demonstrated truth, beholding it sincerely with quietness and silence, without any necessity of considerations, ratiocinations, or other proofs of conviction, and the will loves it, admiring and delighting it self therein; This properly is called the Prayer of Faith, the Prayer of Rest, Internal Recognition or Contemplation. 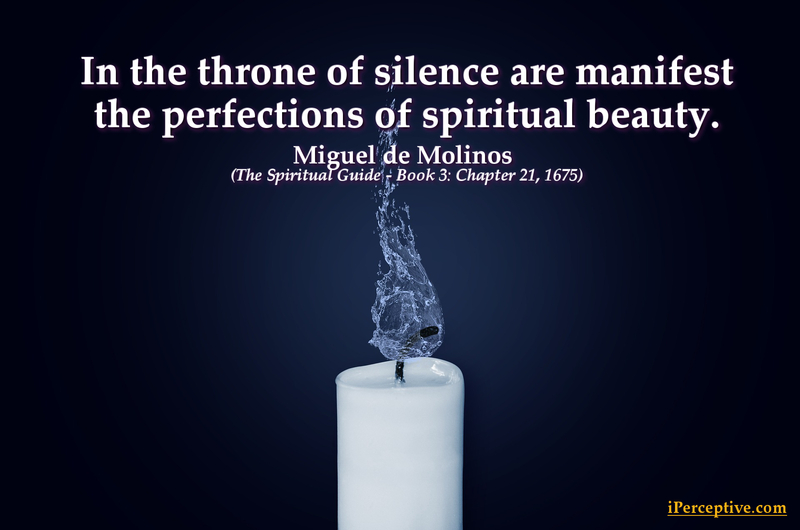 The Soul being once annihilated and renewed with perfect nakedness, finds in its superiour part a profound peace, and a sweet rest, which brings it to such a perfect Union of love, that it is joyful all over. And such a Soul as this is already arrived to such a happiness, that it neither wills nor desires any thing but what its Beloved wills; it conforms it self to this Will in all emergencies, as well of comfort as anguish, and rejoyces also in every thing to do the Divine Good Pleasure. The bottom of our soul, you will know, is the place of our happiness. There the Lord shews us wonders: there we ingulf and lose our selves in the immense ocean of his infinite goodness, in which we keep fixt and unmoveable. There, there resides the incomparable fruition of our Soul and that eminent and sweet rest of it. An humble and resign’d Soul, which is come to this bottom, seeks no more than meerly to please God, and the holy and loving spirit teaches it every thing with his sweet and enlivening unction. These Souls have already procured themselves a great Light, and a true Knowledge of Christ our Lord, both of his Divinity and his Humanity: They exercise this infused Knowledge with a quiet Silence in the inward entertainment, and the superiour part of their Souls, with a Spirit free from Images and external Representations, with a love that is pure and stripped of all Creatures; they are raised also from outward Actions to the love of Humanity and Divinity; so much as they enjoy, they forget, and in all of it they find that they love their God with all their Heart and Spirit. The way to attain that high state of a Mind reformed, whereby a man immediately gets to the greatest Good, to our first Original, and to the highest Peace, is his Nothingness: Endeavour, O Soul, to be always buried in that misery. This Nothing, and this acknowledged Misery, is the means by which the Lord works wonders in thy Soul. Cloath thy self with this Nothing, and with this Misery, and see that this Misery and this Nothing be thy continual Food and Habitation, even to the casting down thy self low therein; and then I assure thee, that thou being in that manner, the Nothing, the Lord will be the Whole in thy Soul. As often as the end is obtained, the means cease, and when the Ship arrives in the Harbour the voyage is over. So if the Soul after it hath been toiled and carried by means of meditation, arrives at the stillness, tranquility, and rest of Contemplation, it ought then to cut off all reasonings, and rest quiet with an amorous attention, and simple Vision of God; seeing and loving him, sweetly rejecting all the imaginations that present themselves, calming the Mind in that Divine Presence, recollecting the Memory, and fixing it wholly on God, being contented with a general and confused knowledge, which is had by the Mediation of Faith, applying the whole Will to love him, wherein consists all their fruit of enjoyment. O delightful Solitude, and Giver of eternal Blessings! O Mirror, in which the eternal Father is always beheld! There is great reason to call thee Solitude; for thou art so much alone, that there is scarce a Soul that looks after thee, that loves and knows thee. O Divine Lord! How is it that Souls do not go from Earth to this Glory! How come they to lose so great a good, through the only love and desire of created things! Blessed Soul, how happy wilt thou be, if thou do’st but leave all for God! seek him only, breathe after none but him, let him only have thy sighs. Desire nothing, and then nothing can trouble thee; and if thou do’st desire any good, how spiritual soever it be, let it be in such a manner, that thou mayest not be disquieted, if thou missest it. But if thou, O blessed Soul, should’st know how much thou art beloved and defended by that Divine Lord, in the midst of thy living torments, thou wouldst find ‘em so sweet, that it would be necessary that God should work a Miracle, to let thee live. Be constant, O happy Soul, be constant and of good courage; for however intolerable thou art to thy self, yet thou wilt be protected, inriched, and beloved by that greatest Good, as if he had nothing else to do, than to lead thee to Perfection, by the highest steps of love: and if thou do’st not turn away but preseverest constantly, without leaving off thy undertaking, know, that thou offerest to God the most accepted Sacrifice; so, that if this Lord were capable of pain, he would find no ease till he has completed this loving Union with thy Soul. This Monster must be vanquished, this seven-headed beast of self-love must be beheaded, in order to get up to the top of the high mountain of peace. This Monster put his head every-where; sometimes it gets amongst Relations, which strangely hinder with their conversation; to which nature easily let’s it self be lead; sometimes it gets with a good look of gratitude, into passionate affection, and without restraint, towards the Confessor; sometimes into affection to most subtle Spiritual vain-glories and temporal ones, and niceties of honour; which things stick very close; sometimes it cleaves to spiritual pleasures, staying even in the gifts of God, and in his graces freely bestowed; sometimes it desires exceedingly the preservation of health, and with disguise, to be used well, and its own proper profit, and conveniences; sometimes it would seem well, with very curious subtleties: and lastly, it cleaves with a notable propensity, to its own proper judgment and opinion in all things; the roots of which are closely fixed in its own will: All these are effects of Self-love, and if they be not denied, impossible it is that a man should ever get up to the height of perfect Contemplation, to the highest, happiness of the loving Union, and the lofty Throne of Peace Internal. 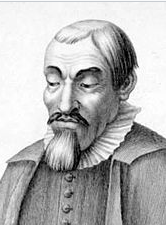 Miguel de Molinos was a Spanish Christian mystic best know for his role in the religious revival called Quietism. Quietism was focused mainly on contemplation and intellectual stillness over traditional vocal prayers of the Catholic church.